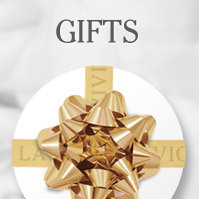 At La Vivion we accept only the highest standards of loose diamond shaping for the diamonds that we offer. After all, we want you to have the very best. Here you will find a range of diamonds in a selection of shapes from the ever popular ‘round’ cut, to the more unusual shapes, like the pear. Each diamond has been certified by the Gemmological Institute of America (GIA) and offers unparalleled quality for your bespoke diamond jewellery. The different diamond shapes available all have distinct features, and are arguably all attractive in their own way. However, the diamond shape that you choose will greatly depend on your personal taste, so read on and find out what shapes are available, and which shape will be ‘the one’ for you. Round. The most popular choice, and also the most flexible shape. A round shaped diamond helps balance colour, clarity and cut grades for the maximum brilliance and sparkle. Princess. An increasingly popular alternative to the rounded look, it offers stunning brilliance and is often seen on diamond engagement rings. The rectangular shape can vary from diamond to diamond, so choose yours by viewing the stone from above. Emerald. The Emerald shape emphasizes clarity and colour and has a strikingly pure beauty. The Art Deco movement has made this shape popular. Asscher. The Asscher shape mimics the emerald shape; however, it is squarer. The pavilion of this shape is also cut in a similar way to the emerald. Marquise. This shape is often used to maximise the carat weight, which gives the appearance of a larger diamond. A marquise diamond looks stunning when set in a ring with pear shaped gemstones on either side. Oval. 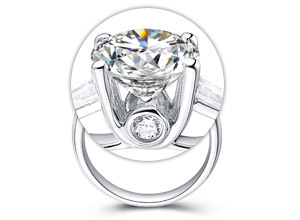 The amount of brilliance in the oval shape is similar to the round diamond. This is a popular shape, which accentuates delicate and slender fingers. Radiant. A versatile choice, radiant-cut diamonds have trimmed corners, which are a signature of this shape. Such diamonds have varying degrees of rectangularity and look beautiful with round side diamonds. Pear. Also known as the teardrop, this shape has a tapered end. The unique shape makes it a popular choice in contemporary jewellery. Moreover, this shape has an elongating effect on the fingers. Heart. The unique look of this shape makes it a famous choice on Valentine’s Day. 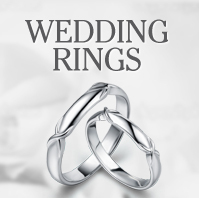 Choose from the traditional to more modern heart shape proportions. Cushion. Cushion shaped diamonds have been popular for many years now. They have rounded corners and facets that help create the brilliance effect. The shape may range from rectangular to square. La Vivion offers a gorgeous range of shaped diamonds for inclusion in your bespoke diamond jewellery, engagement rings and other jewellery pieces. Shop for diamonds at La Vivion, the experts in diamond jewellery, and find a wide range of conflict free, GIA certified diamonds. 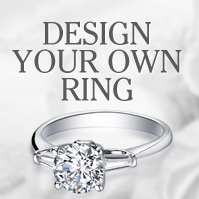 Create your own bespoke jewellery and engagement rings – simply choose your preferred setting and the shape, colour, clarity and carat of the diamond, and we will craft a breathtaking ring that is sure to get you that much desired ‘yes!’.